WCS offers Equipment leasing through American Farm Mortgage. You can be assured of unmatched flexibility, exceptional value and responsive service. 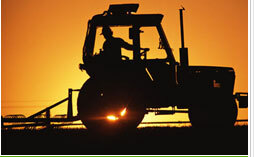 We understand the agricultural industry and have the ability to structure leases to meet your individual needs. Lease Line of Credit – A pre-approved line of credit that allows you to quickly and easily complete an equipment lease. No need to submit subsequent applications or obtain credit approval for each transaction. PROLease – A shorter base term, with the option to purchase or renew the lease with fixed payments set up-front. Harvest Plan – Only 10% of the cost of the asset due at signing, with the balance of the annual payment due in the client-selected month of the current year and annually thereafter. You choose the month to match your cash flow. Flexible Terms – An American Farm Mortgage Lease offers monthly, quarterly, semi-annul or annual payments. If this does not fit your cash flow, give us a call. We will do our best to meet your needs. *Consult you tax advisor regarding tax-deductibility.